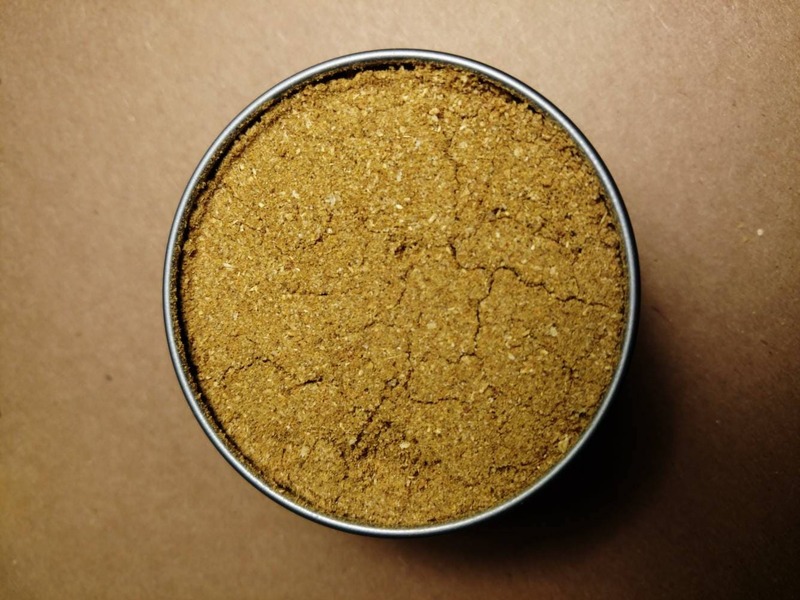 Biryani Masala is an Indian traditional spice blend. It is delicious on all meats and vegetables as well as rice, quinoa and couscous. 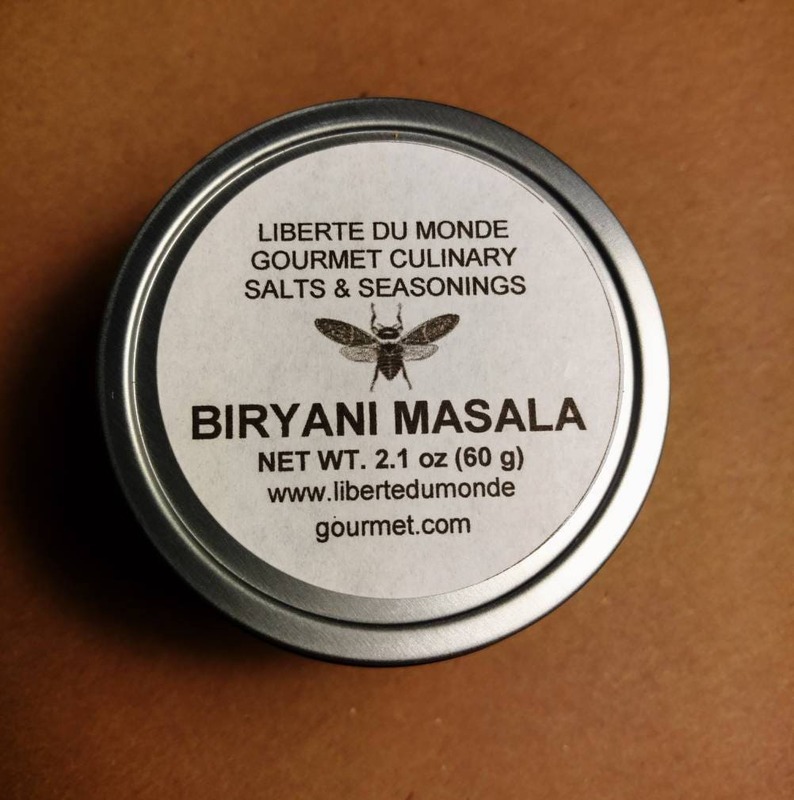 INGREDIENTS: Cumin, Coriander, Mediterranean Sea Salt, Red Pepper, Turmeric, Tellicherry Black Pepper, Ginger, Cardamom, Bay Leaves, Fennel, Onion, Garlic. 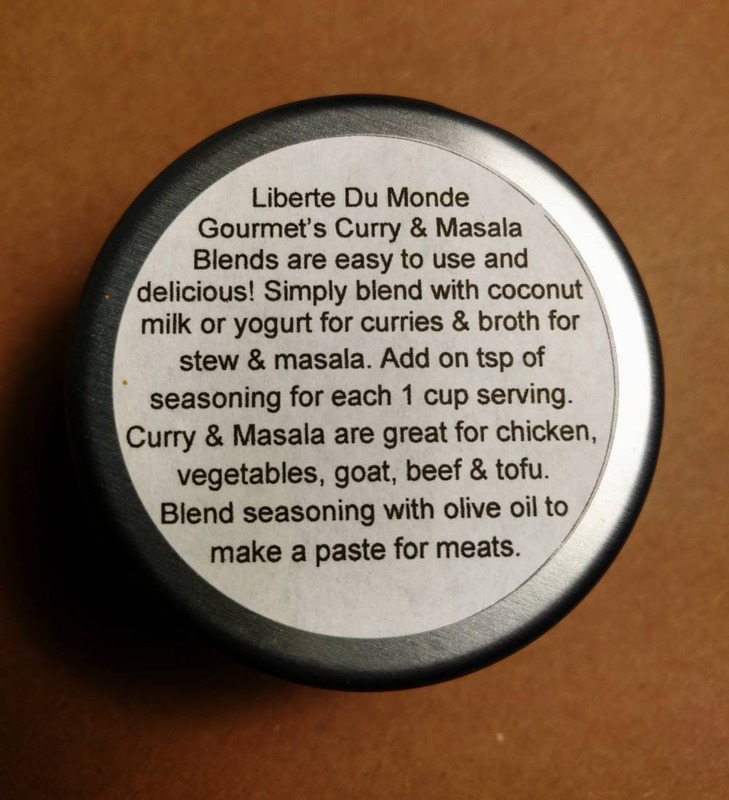 Liberte Du Monde Gourmet's Rubs & Seasonings are delicious when simply rubbed or sprinkled on to vegetables, meats, rice & quinoa. Rub seasoning into meats & refrigerate overnight for a more bold flavor. Sprinkle on vegetables, rice & quinoa just before cooking. Blend into melted butter or olive oil for a seafood topping. Enjoy! It is packaged in a 4 oz food safe tin and ready to make your culinary creations even more amazing! All ingredients are pesticide and GMO free. Grown organically and not irradiated. All blends are also vegan friendly. Store in a cool dry place away from direct light or heat until use.